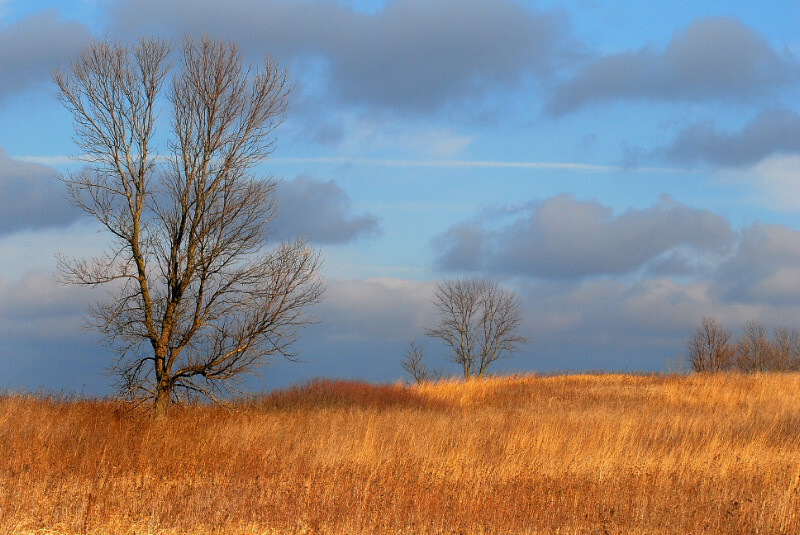 Taken at Myre Big Island State Park in Albert Lea, MN, this photo captures the waning gold colors of autumn and the moody and almost angry grayish skies of November perfectly. Fire and smoke, almost. Lovely.